Lovely and memorable family bondings are mostly created in the home’s dining table. Choosing the perfect table can go the distance of a whole lot of meals for the family. Here are several points to consider in finding the perfect home dining table. 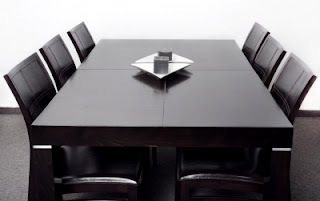 Size of the Family – when choosing a home dining table, we need to determine the number of family members, that is how many kids do we have, are there any of the relatives living with us? This will help us to get the proper table size, whether we’ll be getting an eight-seater or a long table. Table shape –consider the dining area space requirement on which shape you will prefer, a round, square, rectangle or oval shape table. A round table needs roomier accommodations while a square table is more compact and easier to place for a small dining room. The chairs – before buying a dining set determine also the kind of seating you will prefer a cushioned seat that is built in into the chair, a slip seat which is removable or a seat made of wood. Durability and stability – of course we have to consider the dining table we will buy will worth our hard earned money for nowadays there are a lot of beautiful tables made of different materials to choose from. Keenly inspect the materials used for the table and chairs as well, make sure it is sturdy with the legs sized appropriately. It will be wise to go for the durable table that is made of hardwood or steel, you may also opt for glass and steel, however if you have a toddler and small kids around, this kind of table is not advisable.